You are here: Home » Komen’s Breast Cancer Research Funding announces new grants to 124 researchers in 25 states & 8 countries..
Komen’s Breast Cancer Research Funding announces new grants to 124 researchers in 25 states & 8 countries.. The grants include $707,500 in new funding for research at three institutions in Illinois, bringing Komen’s total research investment in Illinois to $17,227,500 since 1982. Since 1992, The Memorial Affiliate of Susan G. Komen has funded $10.1 million to community programs serving local women and men, while contributing over $2.5 million to Komen research. “We are so proud to have the support of this community as we help our friends, coworkers and neighbors who are facing breast cancer, and work for continued progress against breast cancer through research,” said Linda Maricle, Executive Director. In Illinois, more than $700,000 will be invested into projects that will further understanding of breast cancer metastasis and risk, and support other advances in breast cancer research. David Lipps, Ph.D., of Northwestern University will receive $120,000 to conduct a phase II clinical trial to understand how different radiotherapy treatments impact the prevalence of shoulder disease, and thereby quality of life in breast cancer patients. The Society of Surgical Oncology will receive $27,500 in support of the Susan G. Komen Breast Cancer Research Scholar Award and a breast cancer specific session at SSO’s Annual Meeting, which provides a forum for cancer surgeons to discuss advances in breast cancer research and treatment. 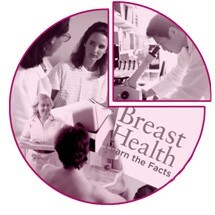 The funds will also support the development of guidelines regarding margin width and risk of cancer recurrence for patients who have a diagnosis of ductal carcinoma in situ (DCIS) and have undergone lumpectomy for treatment, developed in collaboration with the American Society of Therapeutic Radiation Oncology (ASTRO). Komen Scholar Olufunmilayo Olopade, M.D., FACP, of the University of Chicago will receive $200,000 to lead a large-scale study of women of African descent (specifically African-American women and women from West African nations) to better understand the effect of genetic and non-genetic factors on breast cancer risk, incidence of early onset breast cancer, and triple negative breast cancer among African women. Abena Agyeman, Ph.D., of the University of Chicago will receive $180,000 to investigate the therapeutic potential and toxicity of drugs that inhibit the protein Hsp90, which aids in the growth of triple negative breast cancer. Steve Lee, Ph.D., of the University of Chicago will receive $180,000 to test whether combining immunotherapeutic antibodies with radiation for the treatment of metastatic breast cancer can reduce mortality due to breast cancer recurrence and metastasis.